Yummy edible letters, an alphabet that can draw, and an easy-as-pie art piece for the nursery wall. Come check out these simple and fun DIY ideas that will help your kids learn their ABCs. 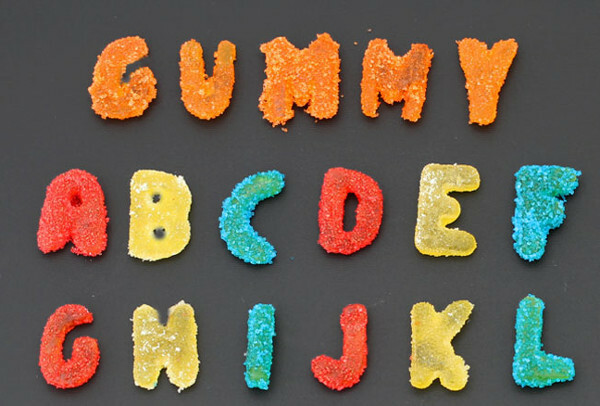 Recently we wrote about how to make a delicious gummy DIY alphabet using only three ingredients. You loved this fun idea so much we thought you might like some other crafty concepts to create alphabet letters. How about some alphabet chalk so kids can write letters with letters? How meta. This crafty construction requires just three ingredients and two easy steps. Simply mix the ingredients together and pour them into moulds. Once they are set you’re all ready to go! There is something special about seeing your kid delighted at their own creative skills. 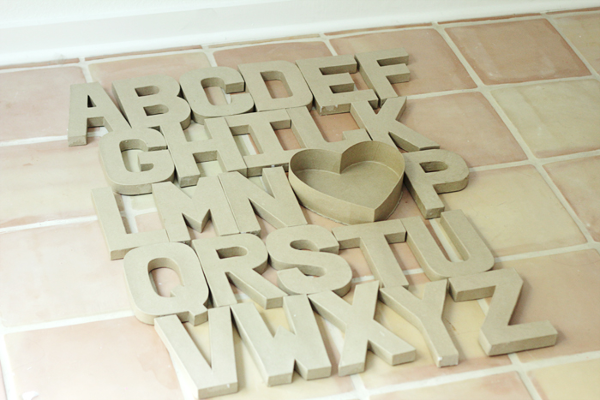 You can find the full instructions for this wonderful DIY alphabet chalk at Momtastic. They may be chuffed about making their own chalk, but creating their own wall art will make your kids super proud. This beautiful design idea is so simple, just follow the instructions from Craft Unleashed. To make this a kid-friendly activity, swap the gesso paint for poster paint and make sure there is adult supervision around any strong glues. 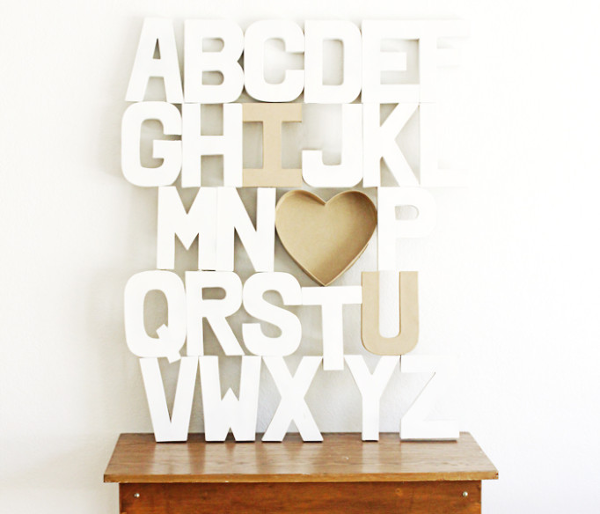 The result is a sleek piece of alphabet art with an endearing message of love. Don’t forget to check out our article on how to make this delicious sour gummy alphabet with only three ingredients. With gummies to munch, chalk to draw, and wall art to gaze at, your kids will be reciting their ABCs in no time. Easy! And then while they’re busy enjoying all that, take time to browse our archives for more alphabet fun.